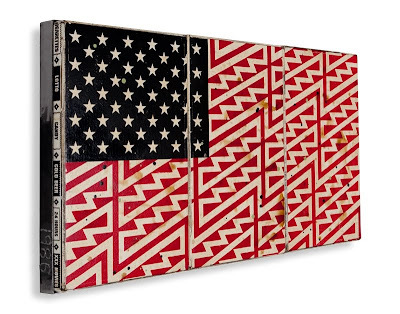 These are a small set of works featuring the Faile Flag. 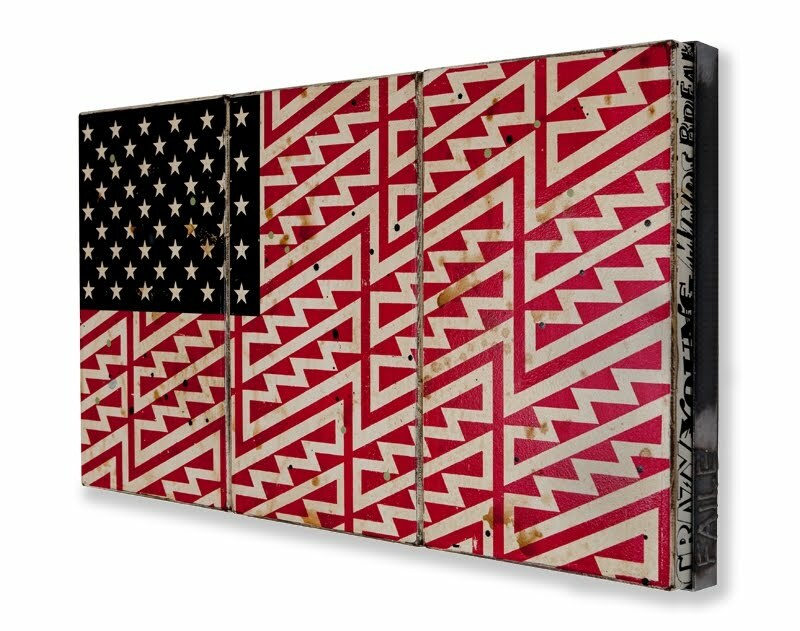 Three wooden palettes are conjoined within a steel frame to make up the flag image. 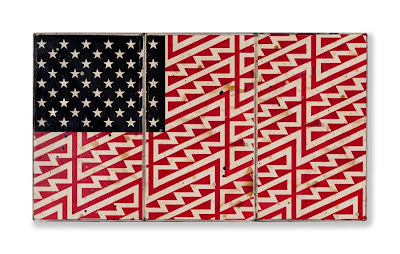 All sides (top, bottom, left, right) are printed individually with Faile typography and patterns, and the wood is treated with a weathered patina. The steel frame is welded with "FAILE" and "1986" on respective sides. Acrylic and Silkscreen Ink on Wood in Steel Frame. Dimensions: 20 1/4" x 36 1/4" x 3".